The Concordia Stingers men’s basketball starting center and team captain outed his fifth and final regular season with a big performance—which he dedicated to his late grandfather and to his family. Michael Fosu has been a fixture at the center position in Concordia’s starting lineups for the past few seasons. He has been a reliable contributor on the floor, and a valuable leader off of it. Fosu, who was raised in Montreal but played a season at the University of New Brunswick before enrolling at Concordia, has been away from his family for over two years since they relocated to Calgary. In their absence, Fosu made them proud. He finished with 14 points, four rebounds, three assists and two steals. His 14 points were well above his seasons average of 8.7. “I wanted to play hard for my family,” he said. “Ending my career here with a championship would be amazing.” —Michael Fosu. His final three points at the John Dore Gym came on a conventional three-point play. It got his team and the crowd fired up, and it’s the play he hopes will come to his teammates’ minds when they think of him. His teammates knew how much this game meant to him, and they wanted to do all they could to make sure his last memory at John Dore Gym was a good one. With the regular season in the books, his team will now move on to the Réseau du sport étudiant du Québec’s Final Four playoff competition. Concordia head coach Rastko Popovic is happy to have his team’s emotional leader as they navigate their way through that tournament. Fosu, who will be completing a degree in French studies this semester, will don the Stingers’ uniform for the final time at the Final Four, which gets started on Friday at Centre Pierre Charbonneau in Montreal. Concordia will face the UQAM Citadins, and will be looking to avenge their unexpected loss to the same Citadins in the competition a year ago. 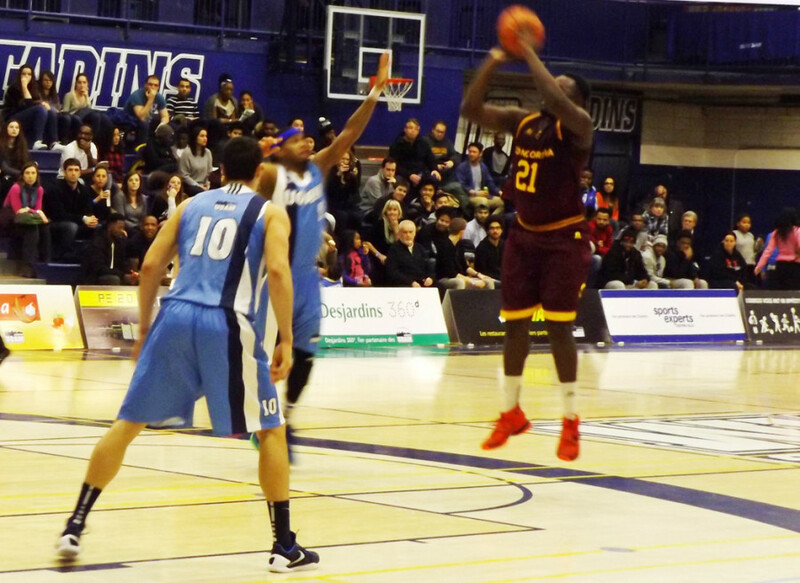 The Stingers will first have to get through UQAM. If he’s learned anything in his time at Concordia, it would be to never take anything for granted.